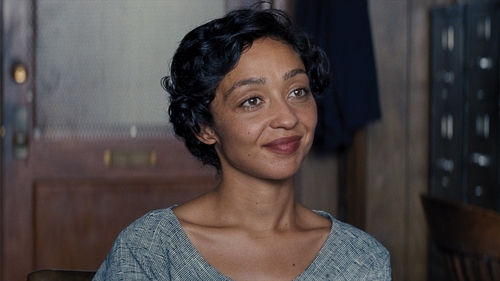 Irish-Ethiopian star Ruth Negga has said that she's "humbled" after being nominated in the Best Actress category at this year's Oscars. The Limerick raised actress has been nominated for her turn in the historical drama Loving. It was a great day for the Irish at the Oscar nominations, with costume designer Consolata Boyle and Irish-made surreal comedy The Lobster also among the nominees. Tipped for a Best Actress nomination as far back as Loving's Cannes Film Festival world premiere last May, former Love/Hate star Negga has seen off strong competition, including Amy Adams (Arrival) and Annette Bening (20th Century Women), to secure her place on the five-strong shortlist. She said that she was shocked but delighted at the news. I am truly humbled by the news this morning, and I thank the Academy for this recognition, which I share with my co-collaborators Jeff Nichols and Joel Edgerton. Today, to be among such extraordinary women - my fellow nominees, my peers with films this year, and the legendary performers whose work of years past has long inspired me...this means a great deal to me." Isabelle Huppert (Elle), Natalie Portman (Jackie), Emma Stone (La La Land) and Meryl Streep (Florence Foster Jenkins) complete the nominees. Irish costume designer Consolata Boyle is among the nominees for her work on the Meryl Streep-starring film Florence Foster Jenkins. It is the Dubliner's second Academy Award nomination: she was previously nominated for The Queen in 2007. Boyle told RTÉ that she was shocked to receive the nomination. The Lobster, which was funded by Bord Scannán na hÉireann/The Irish Film Board, produced by Dublin company Element Pictures and filmed in Kerry and Dublin, is among the nominees in the Best Original Screenplay category. Its director, Yorgos Lanthimos and his co-writer, Efthymis Filippou, are nominated for their script for the acclaimed Colin Farrell-starring movie. Element Pictures' producer Ed Guiney expressed his delight at the nomination: "We are so pleased that Yorgos and Efthimis' amazing and hugely original script has been recognised by the Academy. It's an incredible achievement and we congratulate them and all of The Lobster team." However there was hard luck for John Carney's Sing Street which missed out on a nomination for Best Original Song in what is an unusually competitive year in that category. The Minister for Arts, Heather Humphreys extended her congratulations to today's nominees saying "I would like to personally congratulate Ruth, Consolata and the team behind The Lobster for their incredible achievements." La La Land leads this year's shortlist with a record-equalling 14 nominations, including nods for Best Picture, Director, Actor and Actress.